A High-Standard service for competitive prices distinguishes Hostel Lodi as a top choice for your stay in Roma! Our multilingual staff is available 24hrs to offer to its guests all the information and tips, which make your time in Roma memorable; the clean and comfortable rooms offer private and shared accommodation and a range of sizes to accommodate any traveler, from individuals to groups of friends, families or couples: what matters to us is to make sure that you leave our hostel and our city with great memories and a smile! 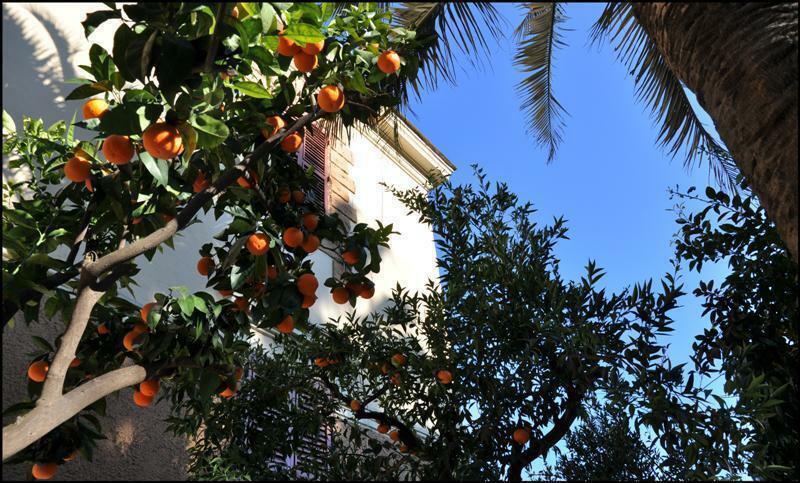 The Hostel is set in a charming, Art Nouveau Villa, located in an elegant and peaceful residential part of the San Giovanni neighborhood. It represent the ideal position for those who want to escape the chaotic traffic of the historic center while also being able to have quick access to the main sightseeing that only Roma can offer and, if you want to take a break-in-the-break, our garden with fruit trees and flowers is a unique place to read a book, drink a coffee or a glass of wine. Walking around our district, you will find a good choice of local Restaurants and Bars with a special roman vibe, like the young bohemian street called Via del Pigneto or the famous club, Circolo degli artisti. We look forward to welcome you at Hostel Lodi, your home away from home! Please note that payment for dorms will be in cash only, upon arrival!!! Fiumicino Airport is located 35 Km far from Rome west side, you have two options to reach the Hostel, we suggest the first one which is easier and cheaper. 1) Train and Walk/Bus, 45-60 minutes, 8 euros. Follow the signs 'AI TRENI' to the train platform (next to AIRPORT TERMINAL 3, walking distance from any terminal); you can buy a ticket for the regional train to ROMA TUSCOLANA at the ticket window, vending machines, or tobacco store near the platform. Take the FMI Metropolitan Train (also called FR1) DIRECTION to FARA SABINA/ORTE (North East of Rome), and get off at the Station ROMA TUSCOLANA; then you can catch a Bus or walk 10 minutes: the BUS 16 (outside the Train Station) for three stops, get off at PIAZZA VILLA FIORELLI (a square with a small park); across the square (back side of the Piazza) walk along Via Crotone until you cross VIA ORISTANO, turn left 10 meters, we are at number 14! If you walk, leave the Tuscolana Station behind you and walk straight until you reach a square called Piazza Ragusa, cross the square and take Via Ragusa; after walking 7-8 minutes you find PIAZZA VILLA FIORELLI (a square with a small park) on your right hand side; afteryou pass the square turn right, walk along Via Crotone until you cross VIA ORISTANO, turn left 10 meters, we are at number 14! Trains run every quarter to half hour from 6:02AM to 11:02PM. There are a few stops along the way and travel time is 45 minutes. The trains run every half hour from 6:35AM to 11:35PM (Fiumicino Airport to Rome Termini) and every half hour from 5:52AM to 10:52PM (Rome Termini to Fiumicino Airport). From Ciampino airport,you can take a SHUTTLE BUS called TERRAVISION (4 euros, frequency every 20 minutes), and get off at the very last stop TERMINI STATION, the main Train Station. Once you get at Roma TERMINI, follow the instruction above (FROM TERMINI STATION).